Ruka offers valet parking every evening at The Godfrey Hotel at a cost of $16 per vehicle. 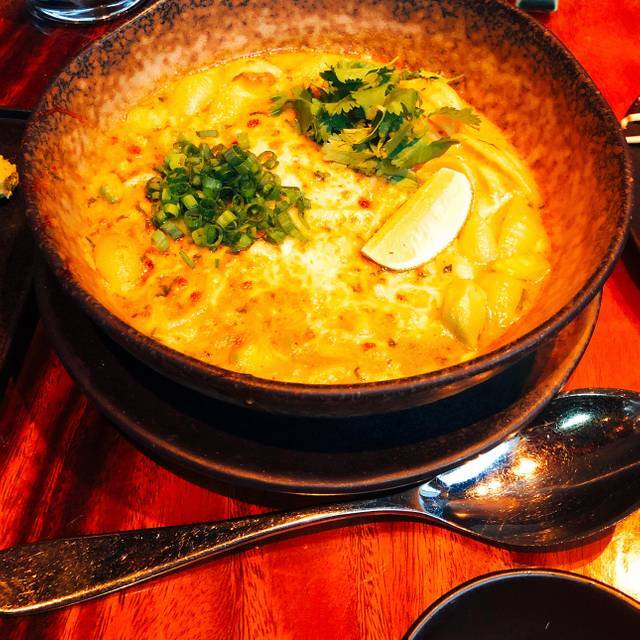 Ruka is located one block from Downtown Crossing on the Orange Line, a short walk from South Station on the Red Line and Park Street Station on the Red and Green Lines. 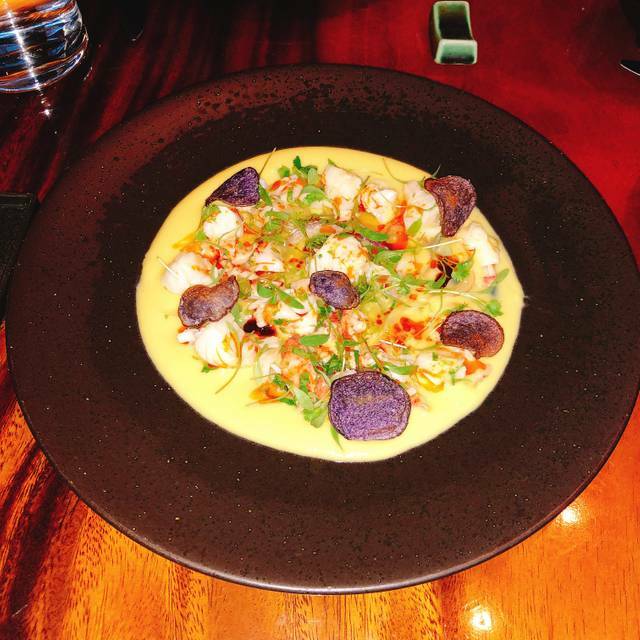 Ruka is the contemporary exploration of the cultural and culinary influences Japan has had on the country of Peru. 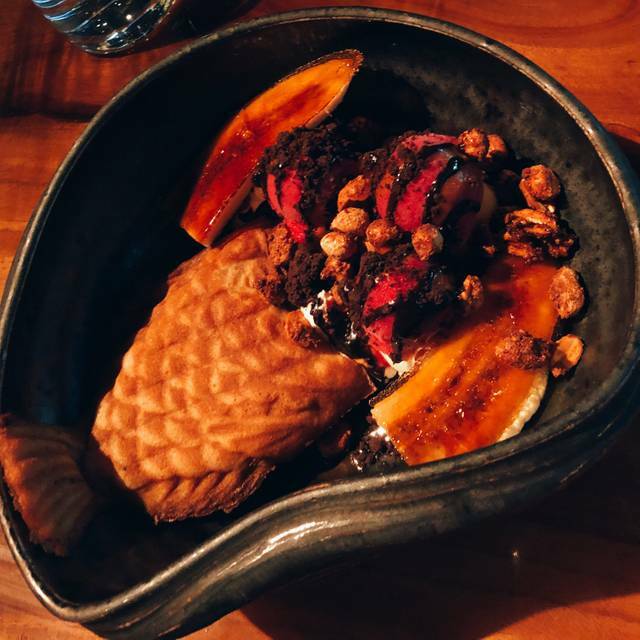 Nikkei is the cuisine that unifies the refinement of Japanese technique with ingredients from Peru’s coastal and mountainous terrain. A wonderful surprise- really different and incredibly tasty small plates. A great place to go to with friends and order a bunch of plates to share. The cocktails are really different as well and delicious! Fantastic! One of my favorites places in Boston for both the food and the cocktails! We were 45 minutes late because of traffic and Ruka held our reservation, seated us immediately, put our orders right in and we still made it to a show at the Opera house 30 minutes after arriving! Food came to the table within 5 minutes and Dan, our server was fabulous. There was nothing more the staff could have done for us. The food is ALWAYS amazing and we were so appreciative of the wonderful service. See you next time, hopefully for a more relaxing time. Waiter very attentive- explained the menu. Very good and interesting food. Good vegetarian choices. Great food and an ideal place for me. There is a ton of flavor, but always balanced and in control. Cocktails also great. 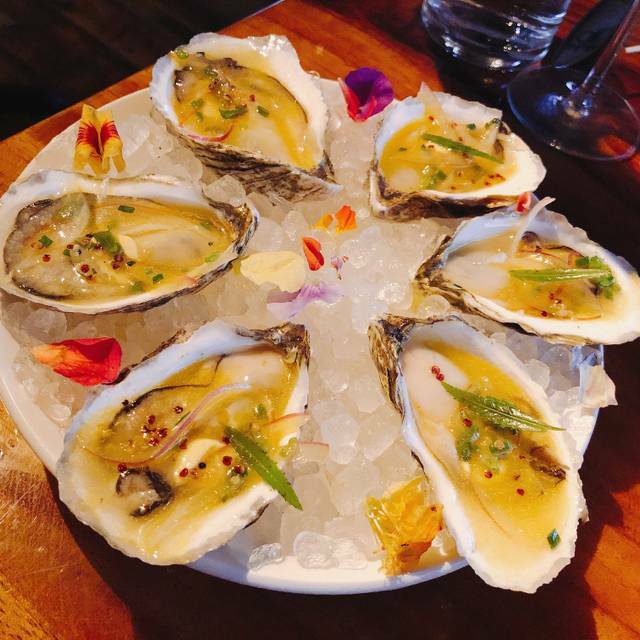 Ruka is a great place to share small plates on a date or with a few friends. There is a delicious variety on the menu, so it an ideal opportunity to try something new. The cuisine and décor are welcome additions to the Boston dining scene. 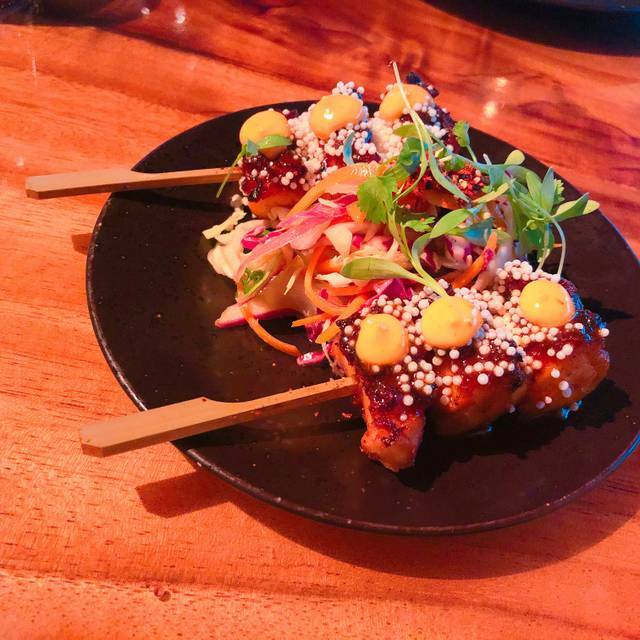 A friend recommended me this spot and told me to try the fuego waygu and jesuit drink, i book the spot a day before the reservation and i didn’t even read the full menu not knowing the food that i was told i should definitely try was removed from the menu, supposedly it was a opener or something. But other than that, the food i got was great. Oh and they read my note too which most restaurants never read, asked to bring a dessert dish out midway thru dinner of their choice because it was her birthday that way we didn’t have to wait for it and it was more of a surprise versus “would you like to see what we have for dessert” and then wait. I hate that, it’s my pet peeve lol. Linh is a superhero server! We weren't sure what to expect, but every plate we had was exquisitely prepared and delicious. We must return to try other plates! Michael was our waiter and he was amazing helping pick food and wine. We visited few restaurants on this vacation and Ruka was our favorite! 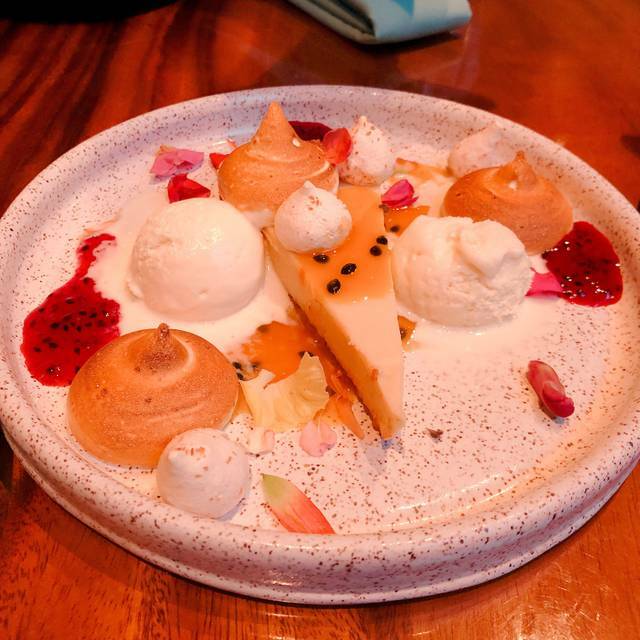 The service was excellent, the food fantastic, the place is very chic. I loved the octopus! This restaurant is one of the best in Boston hands down. Aside from the host's unprofessional demeanor the rest of the experience was amazing. I probably won't go back at this point because of my encounter with the host. The food, ambiance, cocktails and style of Ruka are consistently first-rate. Ruka is a lovely and creative restaurant. There is, unfortunately, marked inconsistency in the quality of the wait staff. We come here frequently. When we ate here a month ago, the waiter's attentiveness, knowledge of the menu and quality of his recommendations were all superb--he enhanced our experience of the restaurant. Last week, our waitress, though friendly, never had her timing down throughout the dinner. As just one example, even though we had told her that we had a 7:30 theatre show to attend, the last dish and the last drinks arrived so late that we had to leave them with our friend so that we could make the show. While we really enjoy Ruka, management needs to do a better job of training and establishing norms for the staff. It's too good a restaurant to have such addressable inconsistencies. The drinks were great. The food was mediocre. The spices were over powering, I couldn’t taste the food. We ordered spicy tuna roll and all I tasted was the hotness of the spice. Also, the calamari came with lemon already squeezed into it. It was too sour. Waiter was very knowledgable about the menu and very helpful with helping us choose items and beer. Will definately go back next time we are in Boston! Really great, creative food and probably one of the best cocktails I've ever had (Gordon Gecko)! The food and atmosphere at Ruka is excellent. The unusual flavor combinations of the dishes are surprising and delicious. The room is a little noisy, but the service and menu made up for that. We will definitely be back. Great food! Very innovative! One of the best in Boston. Very energetic atmosphere with quite interesting fusions foods. Drinks were good and tapas style service was enjoyable. Definitely a good spot to visit. All Good. Highly recommend. Expensive but that's what you can expect from an upscale, hip place. Waiter recommended 2-3 plates each. 1 to 1.5 is fine. We had a party of 6 order 12 dishes-to much food. We had a fantastic time and enjoyed every detail of our evening at Ruka. The food was amazing and the drinks interesting. Our waiter took his time to explain the menus and gave us great suggestions. We will definitely be back! Possibly my new favorite restaurant in Boston! Loved all of the food and the drinks. 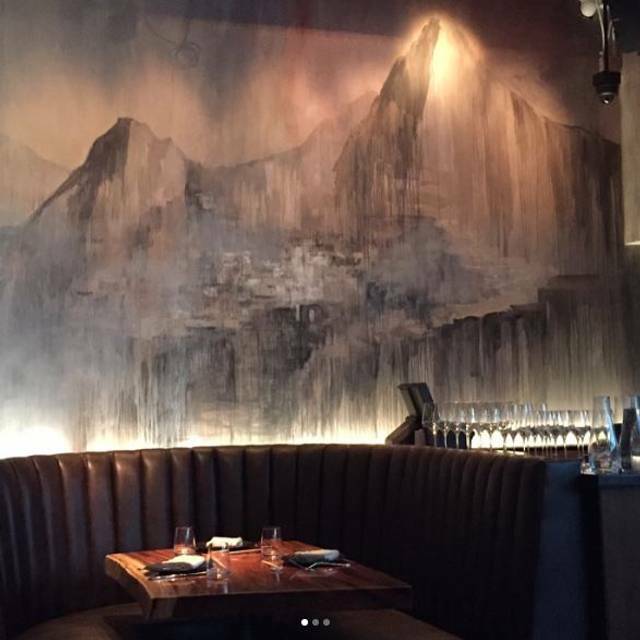 Amazing decor- would be great for a date spot. I'll definitely be coming back. My favorite was the Moon Pie dessert. Ruka was absolutely delicious! There was an incredible combination of flavors and a great ambiance. 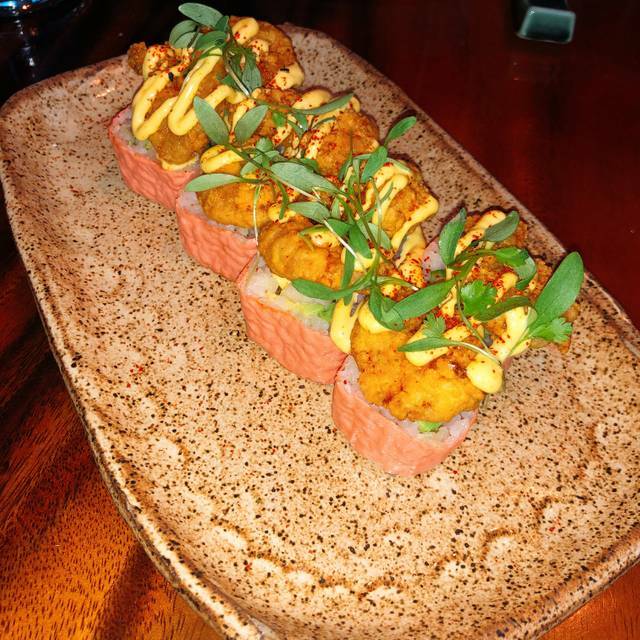 Would highly recommend the blackened octopus, oysters and the spicy salmon sushi (can't remember the name!). Overall, everything was delicious and I would absolutely go back. Incredible design and lively atmosphere. Inventive food and drink menu. Excellent service. 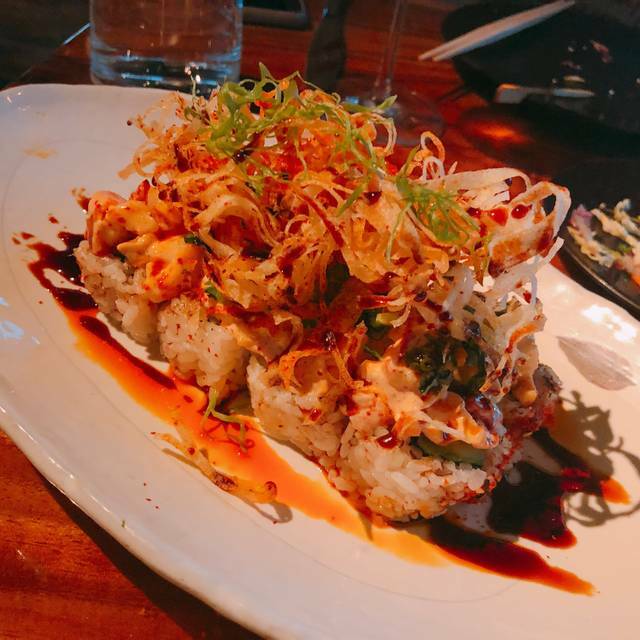 Sushi is outstanding and out of ordinary. Fried rice is a stand out. Loved it all. Food was just simply amazing. Drinks were also great. Try the Mac and cheese, you will not regret it. I love their eclectic menu and great service. They are hands down the best pre and post theatre menu Boston has to offer! Ruka was an excellent dining experience. We had great service, and the food/drink was fantastic. The food/drink menu is fun and creative, and everything we ordered was delicious. I highly recommend Ruka! We will definitely be back the next time we're in Boston. If you are going because it is a sister restaurant to Yvonne's, don't. Excellent place to go and share a couple of small plates with great cocktails. Perfect. Get the garlic fried rice. Food was amazing. Service was great. Nice restaurant. Loved the decor and music. Our first time at Ruka. The restaurant is beautiful, with amazing woodwork. The staff was very patient and helpful explaining, the menu and the dishes. Can't say enough about the food!! We were advised that some dishes were quite spicy, but we had no issues with that at all. Look forward to going back!! I came from out of town for a convention at the Prudential and set out to meet two friends who work at Harvard, and we decided to meet at Park Street where the red and green lines converge. It was a short walk from the T and also super close to Downtown Crossing. After reading the menus, we quickly chose Ruka. It did not disappoint. The atmosphere, although a little loud, was fun and fresh. We enjoyed the decor. Even with dietary restrictions (no beef and no spicy food), we found six dishes that appealed to each of us and split them all among us. Favorites included the Japanese fried chicken and pork belly. The server helped us figure out which dishes could be made without spiciness and which couldn't. The cold dishes came first with the hot following shortly after. It was a fabulous dinner and I know the two locals will be going back for sure. I will on my next visit to Boston as well!